Garage Door Maintenance & Inspection; Opener, Springs Etc. 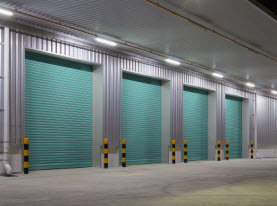 Since 1998, AAA Action Doors has been providing a multitude of garage door services to the local commercial businesses and residential homes of Las Vegas, NV and surrounding areas. With our owners having nearly 40 years of experience under their belts, we have accumulated many happy and satisfied customers. We are fully licensed and insured, and all of our technician team members have advanced training and experience to give you a positive experience with us. Commercial businesses and residential homes throughout the Vegas Valley utilizing garage doors should perform regular maintenance. Including a minimum of an annual professional maintenance service from AAA Action Doors is extremely beneficial. 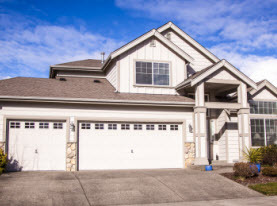 In a nutshell, a professional AAA Action Door garage door maintenance service can keep safety features up to par, enhance longevity, minimize extreme malfunctions, and keep your garage door operating with peak performance. AAA Action Door garage door maintenance service involves a full inspection, applications and adjustments. Garage door’s hardware, springs, chains, sealers, and safety features are all thoroughly inspected on your commercial business or residential home’s garage door by a certified and skillful AAA Action Door technician for superior quality. –	Nuts and bolts. These are inspected and fastened. 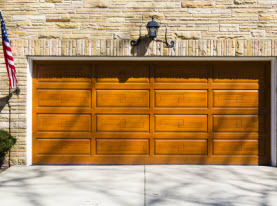 Garage doors are designed to move, and they do so frequently. As they move the vibrations can loosen the nuts and bolts over time. Roller brackets, bolts securing the rails supports are meticulously inspected and adjusted by AAA Action Door professionals. –	Rollers. Whether you have nylon rollers or steel rollers, both require maintenance. Nylon rollers experience chipping or cracking defects as they age. Steel rollers have a tendency wear at the bearings, which causes the wheel to tilt. With AAA Action Door experts, the rollers can be repaired accordingly during our maintenance service. –	Lift cables. Broken strands are common in lift cables as the days pass. The most likely place damage is to occur is where the cable attaches to the bottom of the roller bracket, as that is where it is exposed to the most moisture. Any gunk that might have accumulated is cleaned, and AAA Action Door pro replaces the cable. –	Lubricate. The chain or screw needs to be lubricated with lithium grease at least once a year. Lubrication encourages the garage door to open smoother and quieter. Torsion springs, or extension springs mounted above roller tracks need a coating as well. –	Weather seal. The rubber weather seal cushioning the bottom of the garage door experiences a lot of abuse. If it begins to look brittle and worn, the weather seal is in need of replacing. –	Safety inspection. The safety inspection is by the far most important. If this aspect is not fully functional it can be extremely hazardous to people, or can cause considerable amount of damage. The door is tested and ran through a diagnostic test. Where there are many things the homeowner or business owner can do independently to maintain your garage door to your Las Vegas commercial businesses or residential home, there are also many things a professional is required to handle. 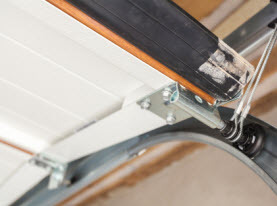 These areas require the expertise to ensure safety and to keep your garage door under warranty. At AAA Action Doors, our leading team of professionals combines our talents and experience with exclusive professional grade materials, products, tools and equipment to give all of our highly regarded customers premium services. For your next garage door maintenance, call the best in town, AAA Action Doors.